Hello, Magic Online players! 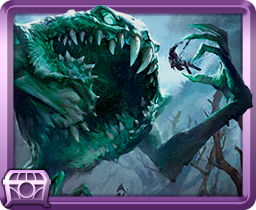 The full Guilds of Ravnica Card Image Gallery is now up, and I'm sure you're all as excited as we are about the new set. It's a doozy, just like the previous Ravnica blocks before it. There's a lot going on with this release, such as the new look for counters. We'll also be putting up some other design articles soon that will talk about some individual card implementations, new targeting icons, and a new gameplay assistance feature, so keep an eye out for those. Before we get into the details of this release, though, I want to talk about timing. We've been doing this thing for a while where we put up Sealed for a new set just before the Prerelease, so you can play for about 14 hours or so before heading out to your midnight Prerelease. And that's cool and all, but it leaves something to be desired. One possible scenario plays out something like this: after you finish up at school or work, you head off to Friday Night Magic, meet up with your friends and play some cards before sticking around for the midnight Prerelease. 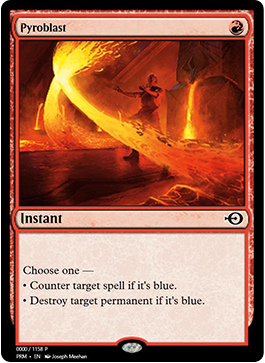 So, when do you get to take advantage of the fact that Magic Online has the new set earlier? Yeah, it leaves something to be desired. I'd say it leaves about a day to be desired. A day. Starting with Guilds of Ravnica, we're going to give you that day. Rather than start our events at 10 a.m. on Friday before Prerelease, we're going to start our events at 10 a.m. on Thursday. We're going to make sure that you have as many opportunities as you can get to play Guilds before heading down to your local game store to play in the Prerelease. Only not everyone has a great local game store. Sometimes events are capped. Sometimes you just can't get out of the house. But not to worry, even if you don't make it to your local store, you can still get the Guilds of Ravnica Prerelease experience on Magic Online, if you like. Here's how that works: on Thursday, September 27, at 10 a.m., two Leagues will go up. 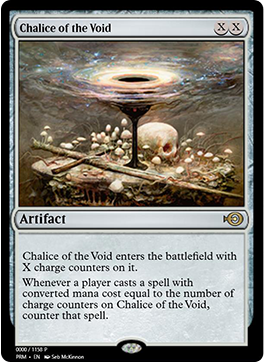 One is a normal Competitive Sealed League that will use six Guilds boosters and will last for the full duration of the Sealed season. The other is an eleven-day Guilded League, modeled after the Friendly League structure and the paper Prerelease event. 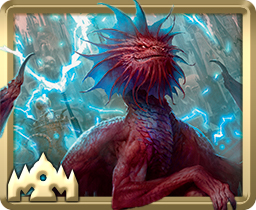 It's different from a normal Sealed League in that one of the six initial boosters you open is a guild booster of the guild of your choice, giving you a great head start to play your favorite of the guilds. (These special guild boosters will have a guaranteed premium rare or mythic rare of that guild.) Then, on October 8, the Guilded League will come down and be replaced by the regular Friendly Sealed option. I'll see you guys in the Leagues. You'll know it's me because I'll be wearing black and green and fungus. Schedule: This league begins on September 27, at 10 a.m. PT. It will close at 10 a.m. on October 8, so make sure you finish your matches by then! Product: 5 Guilds of Ravnica boosters, plus a single booster of a guild chosen upon League entry. After each of the first two stages, players will have the option to add a Guilds of Ravnica booster. Stage prizes are earned for each of the three stages in the league. Course prizes are earned after completing all three stages. Schedule: This league will begin on October 8, at 10 a.m. PT, and is planned to run until the release of the next Standard-legal set. Product: 6 Guilds of Ravnica boosters, with the option to add a Guilds of Ravnica booster after each of the first two stages. Schedule: This league will begin on September 27, at 10 a.m. PT, and is planned to run until the release of the next Standard-legal set. Schedule: This league will begin on October 1, at 10 a.m. PT, and is planned to run until the release of the next Standard-legal set. Winning in those Leagues isn't just good for prizes. Going undefeated in League play earns you a trophy, and if you win enough trophies, then at the end of the season (after the next Standard-legal set releases) you'll earn special prestige avatars. They can't be traded, so they're perfect for showing off your skill to your opponent. 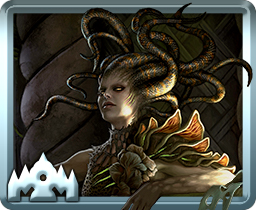 As ever, we're giving the new Standard-legal set a month or so to breathe before starting in on some other event offerings. And then . . . there's a lot. The release will be just packed. Hot on the heels of Halloween, Triple Innistrad drafts begin on October 31. The spookiest of sets will be back for one week before fading away on November 7. The Cube Spotlight Series has a new offering to try beginning November 7. We'll be releasing more information on this specific cube as the date gets closer. 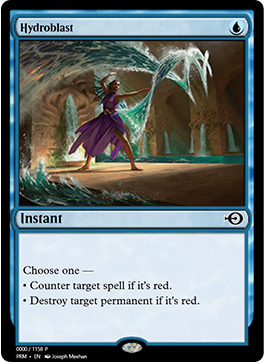 Reaching forward in time (or maybe we're reaching backward), the portal to Dominaria and all three sets of Time Spiral block will open again on November 14. But we'll mend it by the 21. Or we will have already mended it. Or we have will be mending it . . . tenses are hard. The Modern Cube is returning, starting on November 21 and hanging out for two weeks until it leaves on December 5. And then, on December 19, the much-beloved Vintage Cube returns for almost a full month. That League will be open until January 17, at which point Ravnica Allegiance comes out and we're off to the races with the other five guilds. And unfortunately, there's some disappointing news as well. As of the release of Guilds of Ravnica next week, the Brawl events (both the two-player queue and the League) will be retired. This isn't a decision we came to lightly; on the contrary, we had very high hopes for Brawl as a format and wanted it to be a success. However, when looking at participation data, it seems that our hopes for the format were too ambitious. The Brawl League has been limping along with limited participation, which increases queue times. Even the two-player queue sees very little activity. Rather than have Magic Online tell you something that's technically true but difficult in practice ("You can play Brawl when you want! "), we're going to be taking down paid event support. 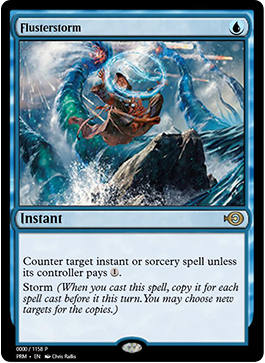 The format will still exist and be supported on Magic Online in the same way that multiplayer Commander is: anyone can begin a Brawl game whenever they like in open play, but people participating will be doing so for love of the game, rather than the prizes they could win. Brawl is doing well as a format. We just had a very successful Brawl Championship at Grand Prix Richmond a few weeks ago, with participation even larger than the Commander Championship held the same weekend! 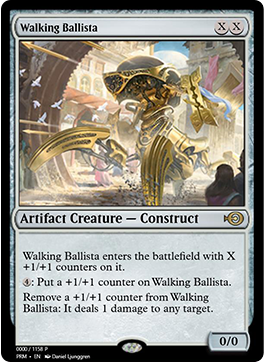 And with Guilds of Ravnica at the horizon, there are plenty of exciting new legendary creatures and planeswalkers to build with. It's going to be a blast! We believe Brawl is at its best when played multiplayer. Playing one-on-one more casually is a lot of fun as well—but when prizes are on the line, the incentives to try new things and build fun decks don't line up with the competitive nature. Promoting competitive one-on-one events on Magic Online has not proved to be the most fun experience for players, and has quickly ground and honed the metagame into the same matchups over and over. As a result, it has made for a suboptimal experience as well. 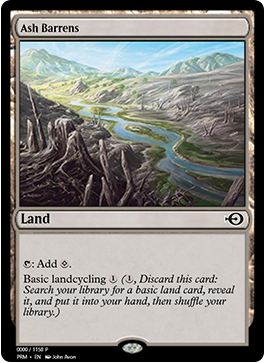 While we've seen the format flourish in paper, the environment on in one-on-one Magic Online play hasn't mirrored that success. However, don't take this to mean Brawl is going anywhere as a format. When I say support for the Brawl format is coming, I mean it—and it is still on the way. It just takes us time to create and release everything. In the meantime, you can still play Brawl casually and in multiplayer on Magic Online—and, of course, in paper too. Stay tuned in the months to come for some exciting Brawl announcements! Last, but not least, a new set comes with a new Treasure Chest update. The Ox, the Transmogrified avatar poofs away, of course, being replaced by two new Treasure Chest avatars: Indrik's Affection and Yargle, Glutton of Urborg. As a reminder, all changes to Treasure Chests apply to all Treasure Chests, so if you want to open our Ox friend, you'll need to open them before the Guilds release. As with all Treasure Chest avatars, these two can't be traded, and the only source of them is by opening a Treasure Chest while they're around. After Ravnica Allegiance comes around, they'll be much harder to get. 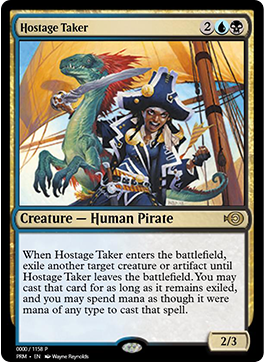 And, of course, we have some sweet new promos showing up in Treasure Chests as well. Full information on Treasure Chests can be found here. These are the updated tables for those pages; please consult that page if you have questions. Starting with the final adjustment of Nexus of Fate several months ago, Buy-a-Box promo cards will always have a relative drop rate of 50. This will help ensure that there are enough copies of the card in the system for people who want to play with it. 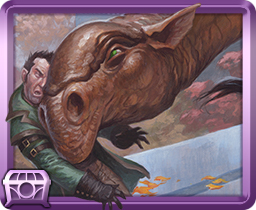 For Guilds of Ravnica, this is Impervious Greatwurm. 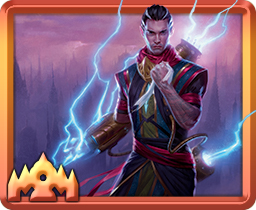 And, as promised, we bring many additional Battlebond cards to Magic Online for the first time with this release, including the oft-requested Spellseeker and Archon of Valor's Reach.